Doug is delighted to be joining the International School of Screen Acting, bringing his passion, energy, and enormous industry experience from both sides of the lens to the training of emerging actors. He is also currently the screen acting tutor at Court Theatre Training Company on a course that he has honed and developed for over more than ten years and is also a filmmaking tutor at City Lit in London. Here, in addition, he takes courses specifically for screen directors and various acting for screen and commercials workshops. Additionally he is a visiting screen tutor and project director for Cygnet Theatre training in Exeter and APT in Guildford. His own professional training began with a 3 year acting course at The Welsh College of Music and Drama, winning the acting award in the first year. He won it again in year three for his performance as Proctor in The Crucible. His first professional engagement came in 1988, in rep at the Liverpool Playhouse. 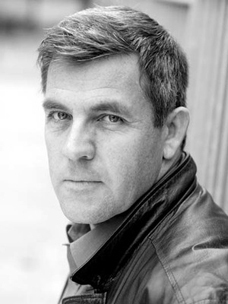 A successful 23 year career as an actor followed with over 55 cinema and TV commercials along with major appearances in TV productions, including Love Hurts, The Bill, Holby City, Casualty, Eastenders, The Knock, Occupation and the cult series Torchwood in which he played the alien sleeper, David. There was though, a longing, for more creative fulfilment and therefore a natural progression to become a film and TV director. He has made more than a dozen high end and award winning films such as Now Retired, (Best Drama) The Double Deal (recent winner of the best short at the San Diego black film festival) and The Crime, a complex psychological TV pilot episode about a police interrogation for child abuse. He continues to juggle the instruction of students with film making and specific directing projects. ‘You depend on trust and the collaboration of skilled personnel as a director but all too often actors arrive at a casting, or worse, a shoot, technically ill equipped and sometimes hopelessly unprepared for the discipline and rigour of film acting. I remain passionate and committed about preparing actors for the significant demands of the modern screen acting profession.